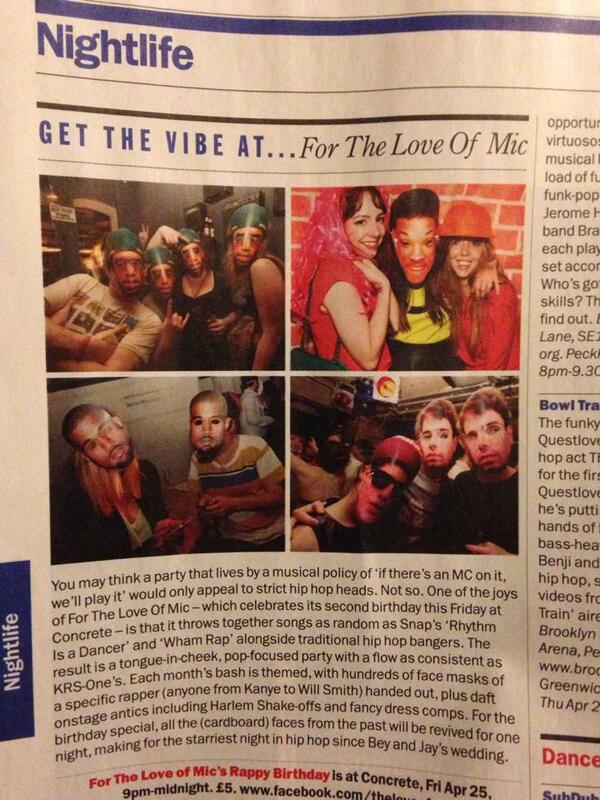 For The Love Of Mic used to be one of London's silliest club nights and was founded by myself and Alexi Duggins. It was born from a joint love of hip-hop and R&B and a desire to find a night that played this kind of music, but wasn't intimidating, as many hip-hop nights can be. To achieve a playful vibe, we hand crafted masks of various rappers each month and played a range of genres. 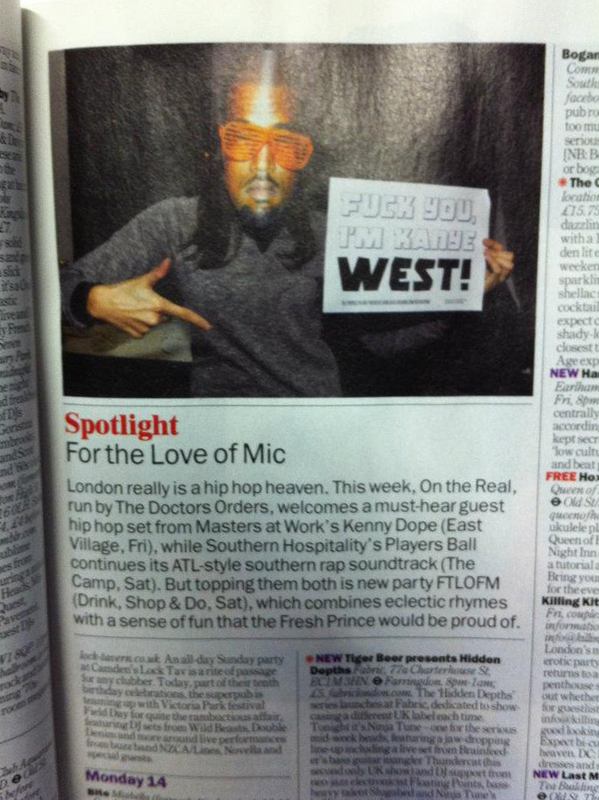 Our motto was: "If there's an MC on it, we'll play it". 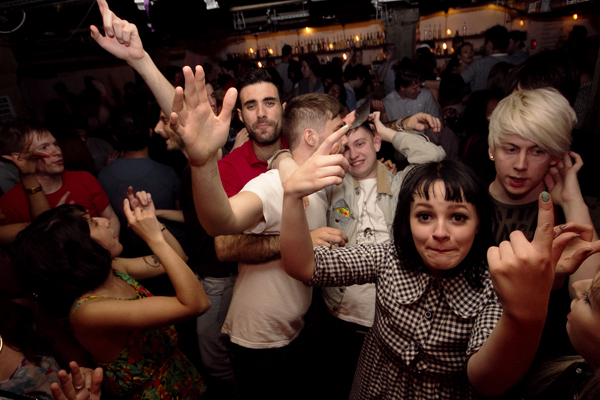 FTLOM started life in 2012 at Drink, Shop & Do in King's Cross and after a few months moved to House of Wolf in Angel, where we started hosting rap-offs between audience members (here's a video of one at Concrete). By our first birthday, we were at the 300-capacity Shoreditch venue Concrete, where we stayed until well into our second year, when we finally decided to shut up shop and pursue something new. 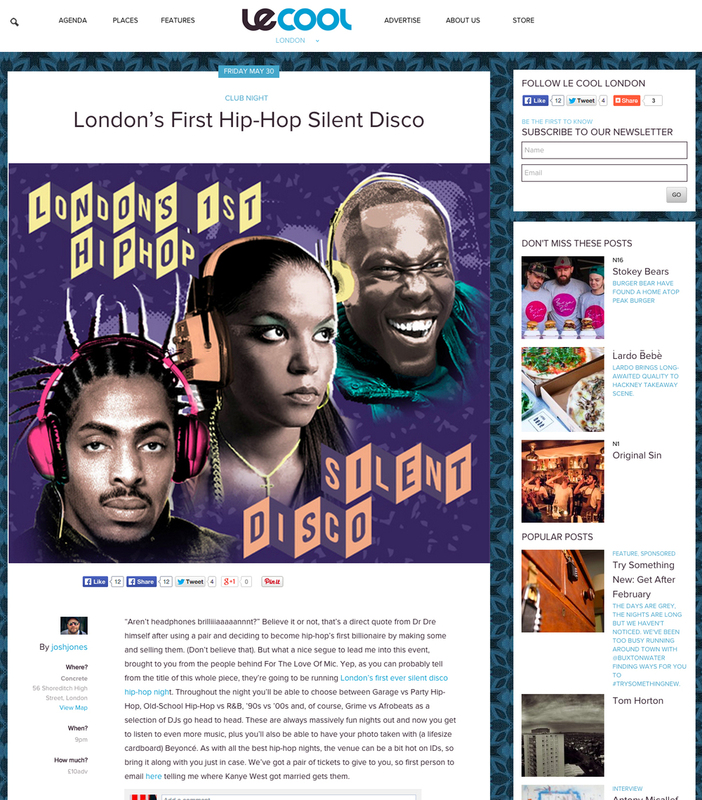 As well as the club night, we hosted a monthly radio show on London Fields Radio as FTLOM, put on London's first ever hip-hop silent disco and guest DJ'd at numerous other events, including In The Woods Festival, The Vaults in Waterloo and The Shard. 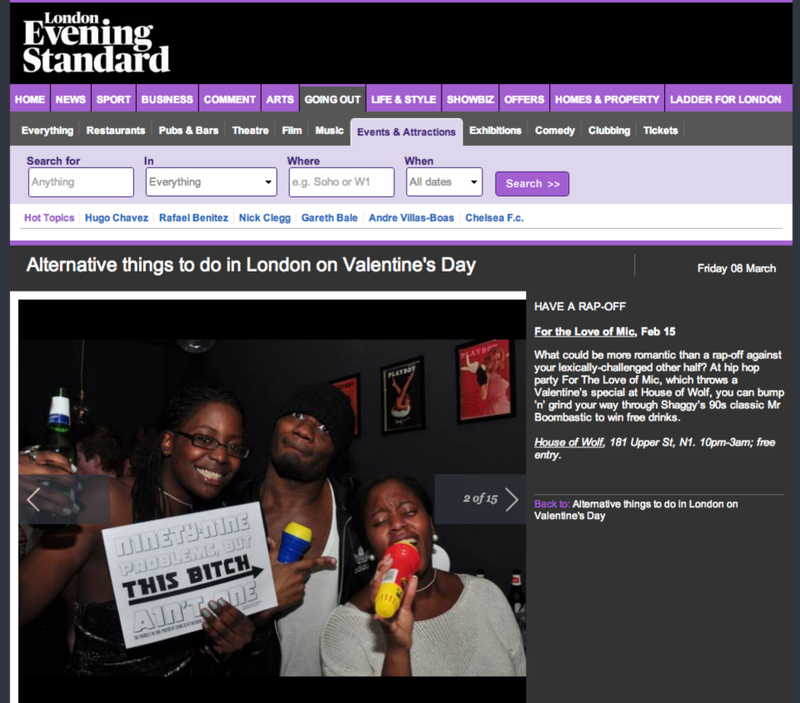 Below is a selection of our pictures and press coverage. Above are our flyers, all designed by Adam Insam. For an idea of what we used to play, visit my DJ page.